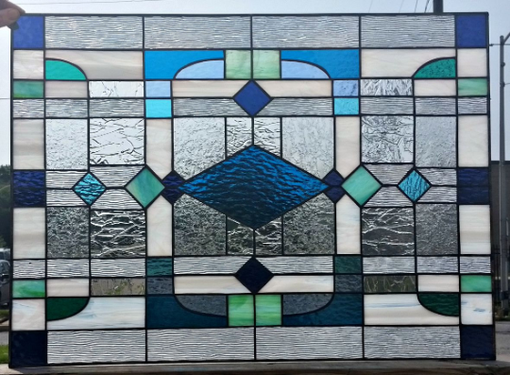 This set of 4 stained glass windows was made for our customer bathroom, as you can see in the last photo listed. 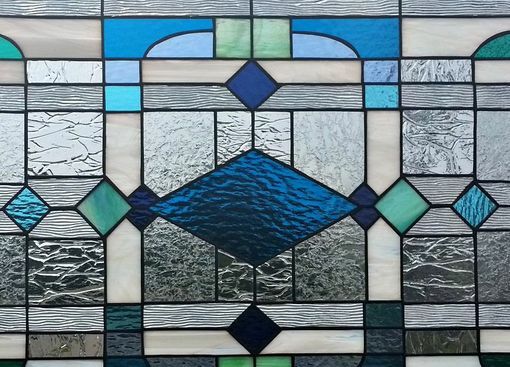 Size of each piece is 20 3/8 h x 27 7/8 w.
Our customer directives regarding design were to create a linear, geometric pattern based on arts and crafts/art deco styles. 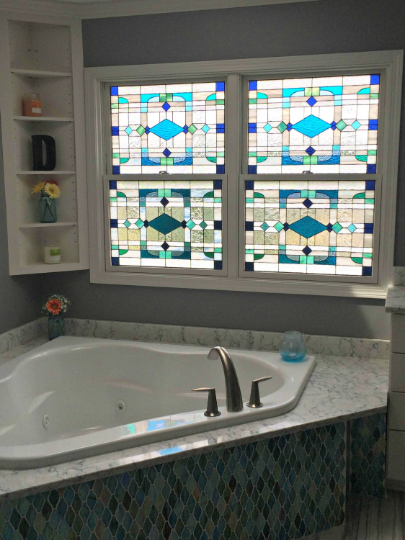 She also wanted us to use the tile of her bathroom as the color inspiration for the windows so we worked with the blue/green/teal shades mixed on the tile. Note: Price listed is for each window in that size. Price for the complete set is $1800.